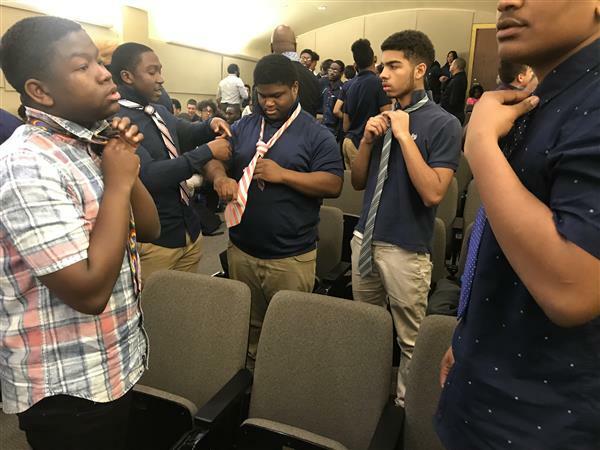 4/16/2019 -- A tie may make the man, but first the man has to know how to tie the tie. Jowan Smith, a post-secondary education consultant and founder of the nonprofit Getting Our Babies to College 101, brought that message to 85 male students at the Cleveland School of Science and Medicine. 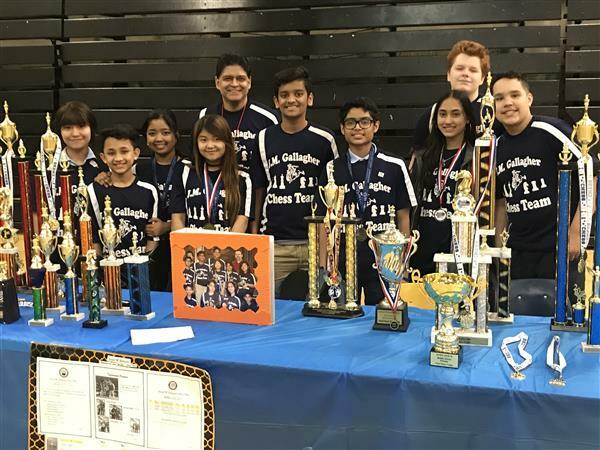 4/11/2019 -- The chess team at Joseph M. Gallagher School has capped an amazing run by winning a state championship. 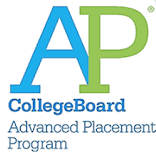 4/10/2019 -- The Cleveland School of Science and Medicine and John Marshall School of Information Technology received the AP Computer Science Female Diversity Award from the College Board. The not-for-profit board helps prepare students for success in college. 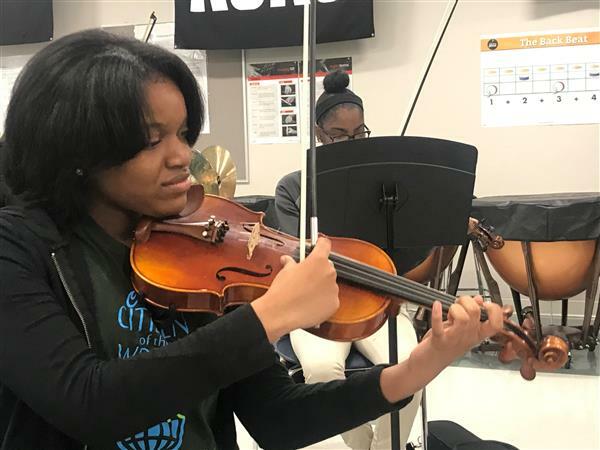 4/10/2019 -- Campus, located at Cleveland State University, is one of 98 schools in the country to earn a 2019 SupportMusic Merit Award from the Best Communities for Education Program. 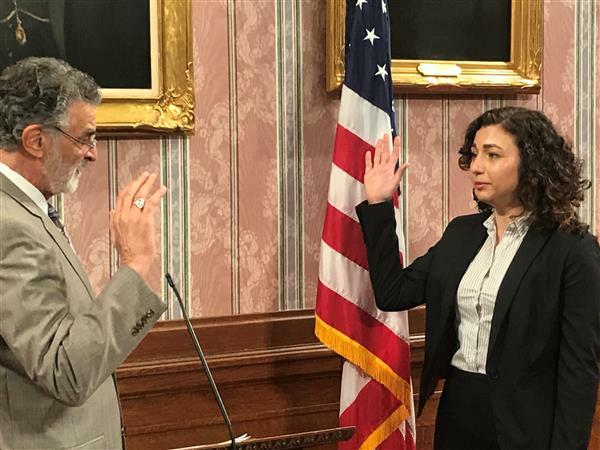 4/5/2019 -- Sara Elaqad knows the road to success can take difficult turns, and she is eager to help others find their way. 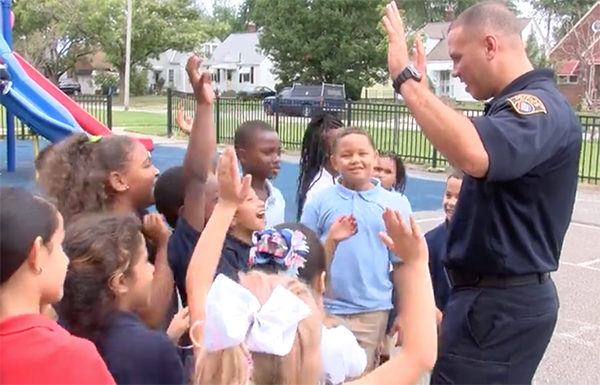 4/4/2019 -- If you’ve seen Cleveland police cars parked outside a CMSD school recently, it doesn't mean there is cause for concern. Community engagement officers are making friendly visits to read to students, play with them at recess or socialize at lunch.